When you forget how to say “no” to projects and tasks, it’s easy to drown in your work and lose all sense of time management. With too many due dates to manage, it becomes impossible to find focus, which is critical to time management. Not to mention, by saying yes to everything, you lose the ability to work on things you care about: “By saying no, you are giving yourself the ability and bandwidth to say yes to the things that are more important,” says Craig Jarrow of Time Management Ninja. Draws attention away from where our focus should be. Signals to the brain that the work is never done. Clutter and lack of organization holds your mind hostage. Rather than prioritizing what needs to get done, you’re trying to fend off mental fatigue, stress and anxiety, making time management nearly impossible. Brain breaks are one the best ways to manage your time. When you become burnt out on a project, your productivity slows drastically, you lose interest in what you’re doing, and before you know it, you’ve wasted 20 minutes staring at the screen wishing you weren’t at work. Brain breaks help you avoid this issue and have been proven to improve productivity by 34 percent, according to Unplug After Hours and Increase Productivity. This allows you to better manage your time and be more effective. 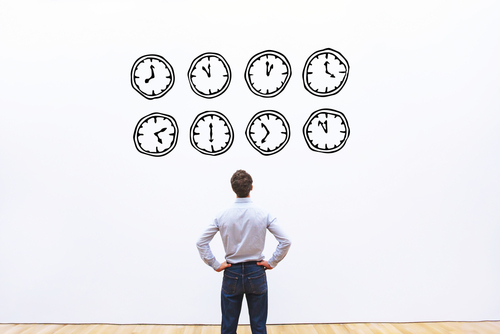 When you’re perpetually running behind schedule, it’s impossible to manage your time effectively. When you’re late to work most days of the week, or slow to start on a project, your first thought isn’t managing your time, it’s more like: How quickly can I get this done because I’m already so behind? Goals provide structure to your work every by giving you a prioritized list of things to get done: “Your goals help you to identify your priorities. 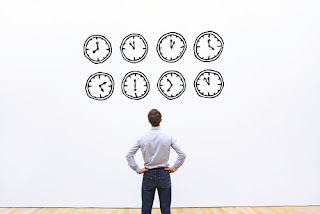 They outline what you want to achieve, when you want to achieve it by and the importance of the task,” according to 11 Symptoms of Poor Time Management. With these details included, you know exactly what you’re doing and the timeframe for each task, which helps you stay on track. When everything needs to be just right, you tend to lose control of your time because you focus so much on one project or task that you ignore the others. While it’s important to produce work that you’re proud of, letting go of small issues that can be fixed later or ignored altogether allows you to make time for all the other items on your to-do list. Everywhere you look there’s a distraction or time-sucker: on your computer (hello, Facebook), in the kitchen (quick chats turn into 20 minute conversations) and in meetings (which seem to go on forever). With distractions and interruptions, it’s hard to get into your workday effectively: “Distractions prevent us from achieving flow, which is the satisfying and seemingly effortless work that we do when we’re 100 percent engaged in a task,” explain experts at MindTools. Are any of these a regular issue for you in the workplace? Identify what’s stopping you from being good about time management and then eliminate the cause so you can focus on getting more done effectively and efficiently. This article was originally published on Glassdoor.com. Reprinted with permission.